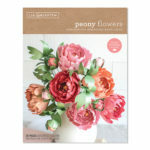 The peony is one of my favorite flowers. Their large, ruffled blooms are stunning on their own. 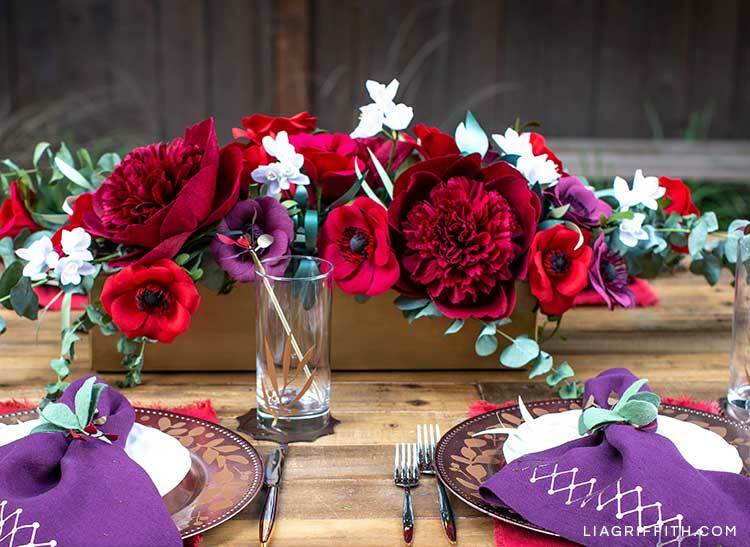 But they also look so beautiful mixed in with bouquets and floral centerpieces. 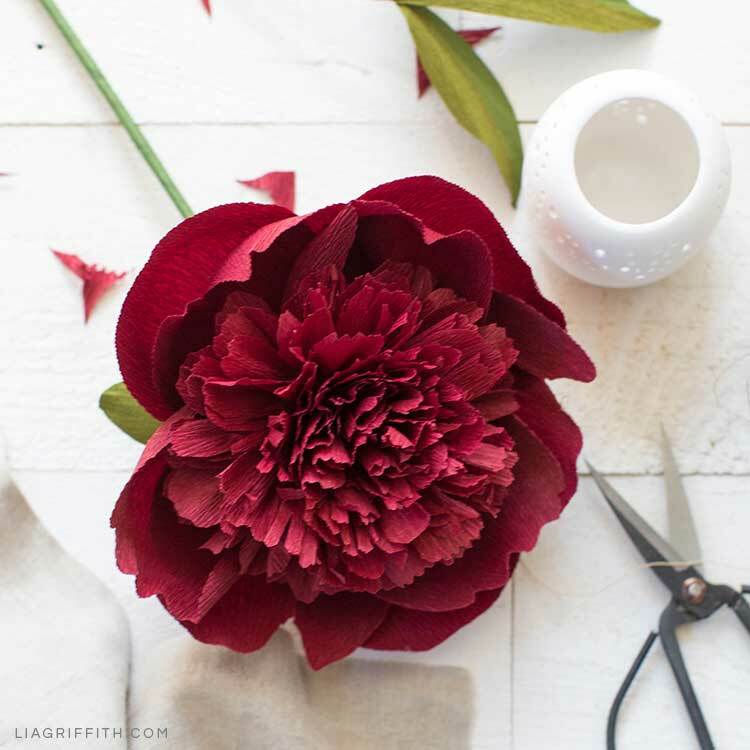 A couple of months ago, I did a live video tutorial on how to make a crepe paper red charm peony for our member make challenge. So if you missed it, here it is! 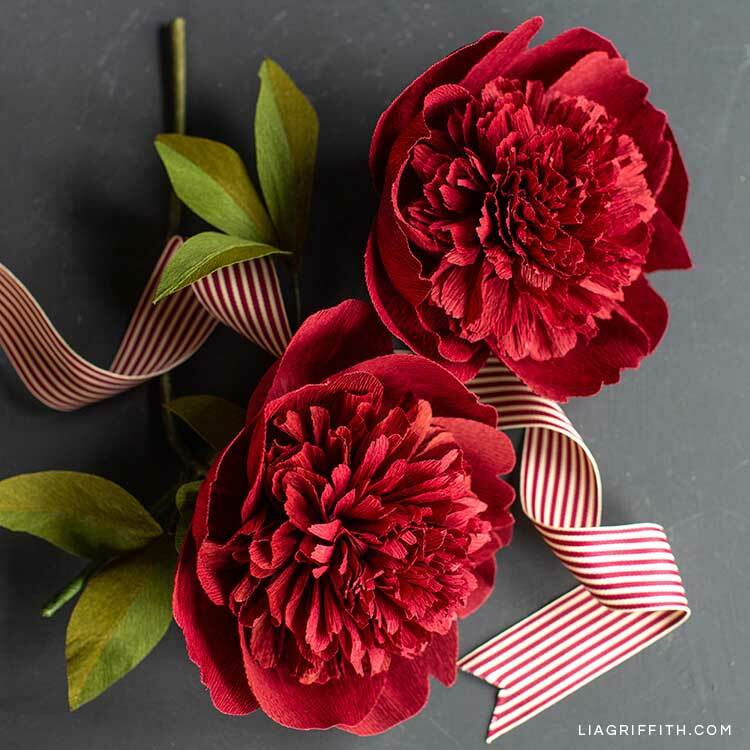 This crepe paper red charm peony is a great flower to make for fall. 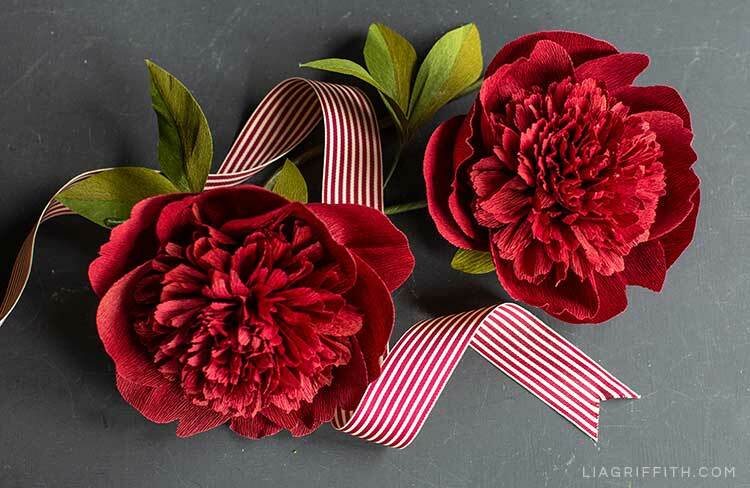 In fact, if you’re having a fall wedding, this peony would be perfect to add into your bridesmaids’ bouquets or your own bouquet. Not only do these peonies look gorgeous in a wedding bouquet, but they are also known as a symbol of good fortune and a happy marriage. 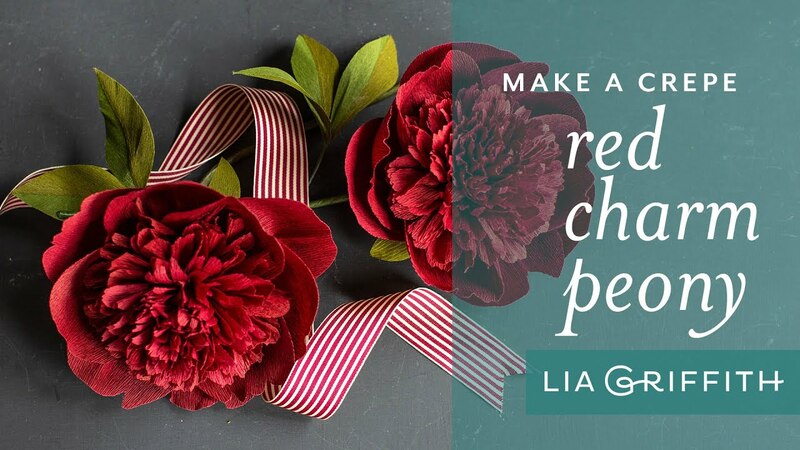 When you’re ready to craft this red charm peony, just gather the tools and materials below. I’ve listed a few different crepe colors you can use for this flower, but of course you can always choose whatever color—or colors—you like best! 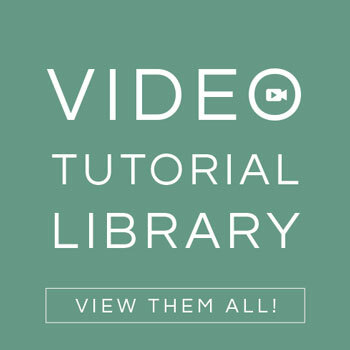 Then just download the SVG file or PDF template at the bottom of this post and watch my live video tutorial for the instructions. Download your pattern at the end of this post. 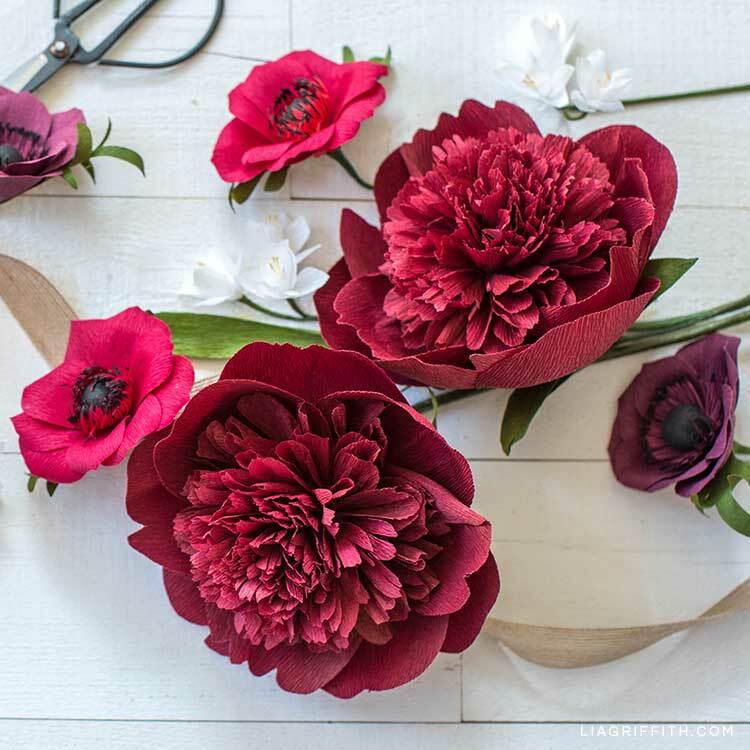 Then watch my live video tutorial below to craft this flower along with me! 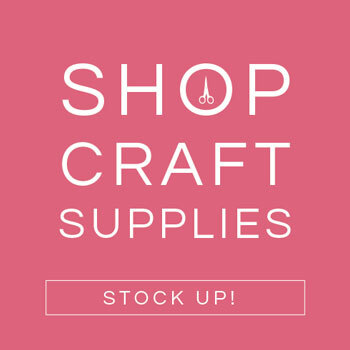 If you have any questions while crafting, just comment below. Want more DIY inspiration? You can sign up for our weekly emails, or follow us on Instagram, Pinterest, and YouTube. 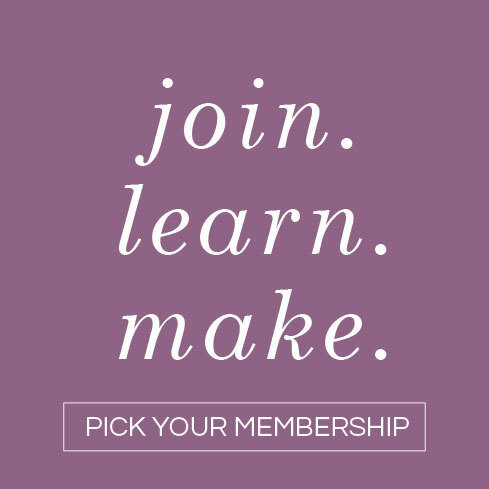 We also offer membership options for those of you who want to download our DIY templates, SVG files, and photo tutorials. Do you need to used an egg form? Can you use a round ball? FYI: In the listing for the materials needed for this project you do not include the foam egg. 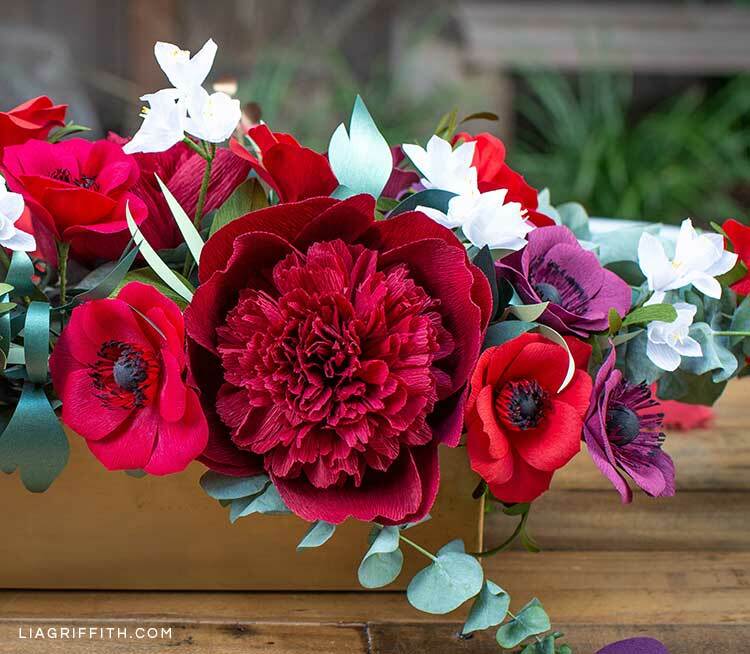 How many flowers can you do from one roll/piece of heavy crepe paper that is 9.8″ x 39.3″? 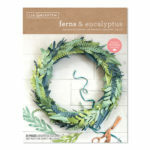 I’ve ordered some of your crepe paper and I’m so excited to start making flowers! Yay so excited for you! 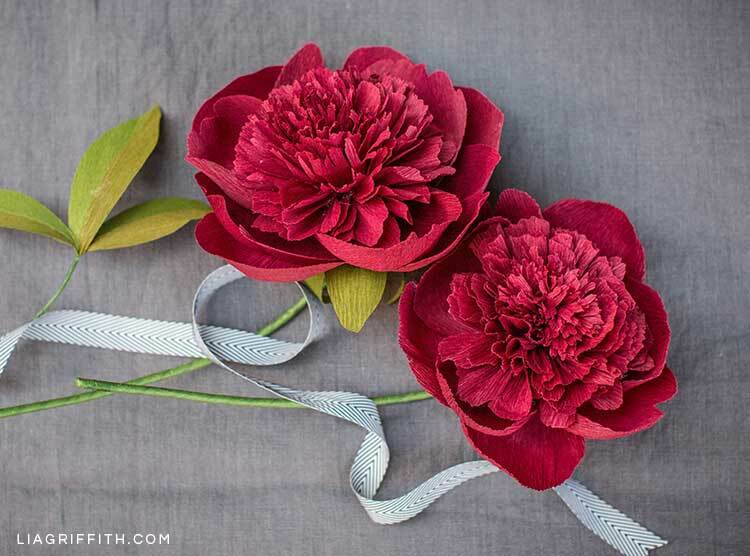 This particular peony uses a lot of crepe paper and you can get 2 Red Charm Peonies from one roll of the heavy crepe paper (keep the cuts as close together as possible to save enough for 2 flowers). 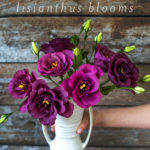 I love this idea of using this flower! But what happened to the November Member’s Make Challenge? Unfortunately, we have had to place a hold on making the monthly member makes for November and December. We hope to have them back in January but for now we are doing a lot of other videos that we are sure you are going to love!! I’m scrunching it together, not twisting the individual petals.